It is possible to get a late deal on a cruise if you go to Ushuaia saving maybe up to 50% on the advertised cost, though this is still going to cost you $6,000 to $8,000. To do this you need to stay in town for some time during the season which lasts from November to March and visit the numerous travel agencies on a daily basis. You need to be able to travel the next day when a last minute trip comes up, ships are leaving on an almost daily basis during this peak period. Nothing is guaranteed however and you need to factor in your extra accommodation and food costs while you're waiting, some years there may be a choice of deals, other years there may hardly any at all. Flights during this time need to be booked in advance to avoid premium rates. Increasingly, in line with many other travel destinations, it is the early booked deals which are often better (and far more predictable) than hoped-for last minute bargains. What is the age range on Antarctic Trips? - The age range of passengers on Antarctic trips tends towards 40+, there are often 30 something's in lesser numbers and maybe some younger passengers, most will probably be in the 45-65 age range. There is no "shoestring" way of getting there so you don't get many young independent travellers. Passengers on Antarctic trips are frequently very well travelled and tend to be interesting people, the sort who are prepared to spend money on an "experience" as opposed to going on an eating and entertainment type cruise. Antarctic trips are reasonably active so passengers need to be able to get around readily. What sort of entertainment is provided? - Antarctic small ship cruises are not what people usually imagine a cruise to be, for the majority of passengers, this is a positive thing! While you have guides and experts on board, their expertise does not necessarily lie in performing a medley from "Chicago" complete with fish-nets and high heels after dinner (you could always ask). There are usually no professional entertainers on these ships, there will be talks and maybe videos shown but they will be very much to do with Antarctica and the specialisms of the guides. Reading, relaxing, watching the world go by, getting to know your fellow passengers over coffee or a drink at the bar are what will pass the time when on board and sailing. Antarctic cruises differ from the wider cruising experience quite significantly in this regard. How fit do I need to be to take part in the activities? - Most cruises will have a variety of activity levels for the passengers. You need to be in generally good health, while there will probably be a doctor on board the ship, you will be a long way from any other medical assistance. You should be sufficiently able-bodied to get in and out of zodiacs from the ship and ashore and negotiate uneven possibly slippery ground. Once ashore there are usually two or three different walks. Typically one will be easy at low level over a short distance with frequent stops, one will involve gaining more altitude and cover much more ground with infrequent stops. Another will often be for photographers and wildlife enthusiasts, which may be quite energetic or might involve spending a lot of time in one area as dictated by circumstances. Some trips will offer one or more activities of sea kayaking, cross country skiing, camping, snowshoeing, mountaineering or diving as options where obviously a higher level of fitness is required. What medical facilities are there? - Antarctic cruises are not like cruises where ships call at towns and cities with all of the medical facilities that you would expect. Ships will carry a medic, but facilities will vary according to the size of the ship. In an emergency, pretty much all the ship could do would be to head back to the nearest port which may well be a day or two's days sailing away. It may be possible to visit a national base if there are facilities and medical personnel available. Anyone with any kind of significant disability or medical need should contact a tour company and explain the situation in as much detail as possible so that the Antarctic trip can be tailored to the individual need. There is no reason that a disability that does not prevent someone living a fairly normal life at home should prevent a trip to Antarctica, obviously it is very much down to individual details. What is the food like? - Food will be plentiful, tasty and nutritious, of course the more luxurious your ship the greater the variety and quality. Fresh fruit and veg may run low on longer (20 days +) trips, but overall you'd be hard pushed to tell the difference from a good hotel restaurant. Most dietary requirements can be met. I have never heard anyone comment negatively about the food on an Antarctic trip but have heard lots along the lines of "Hadn't really counted on that aspect, definitely a bonus!". Will there be a variety of nationalities on the ship? - Antarctic cruise ships tend to be very cosmopolitan environments. The language on board is most commonly English and lectures, guided walks etc. will be conducted in English, there are however particular cruises where French, German, Chinese etc. language and culture predominate. While there may be a majority group of some nationality on a trip, there will nearly always be half a dozen and probably many more different nationalities represented by the passengers. Are these cruises suitable for older passengers - Antarctica is a fairly active place to visit, though you can have quite a sedate time on a trip there if you choose. To make the most of it, you should get ashore as often as possible. To do this, you should be able to walk down somewhat wobbly possibly steep steps to get into the zodiac which will be rising and falling to some degree with the waves (up to a foot is typical, usually less). At the other end, you will need to be able to get out of the boat over the side and probably into ankle deep water or onto wet rocks. There will be many strong hands to help you do this, but it does require a certain level of sprightliness. Once ashore you may need to negotiate uneven rocky ground and/or ice and snow that may be slippery. While there are many active people in their 80's and even older who visit Antarctica and take part in the whole programme, it is not for the infirm or unsteady of any age. Are there any guides on trips to point things out and explain what I see? - Biologists, ornithologists, geologists, historians etc. 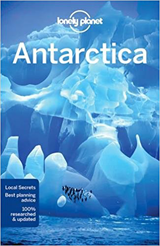 will be your guides to where you are and what you will see in Antarctica. Don't be afraid to ask questions, if you're asking there will be others who would like to know the answer too and the guides will be glad you're interested. What is "Open Bridge" - A policy on the bridge (where the crew go to drive and operate the ship) of most cruise ships to Antarctica. You the passenger can wander on and have a bit of a nose around as long as you don't press things. The first time I went on the bridge of a ship in Antarctica, there was quite a swell running, as I was walking off, the ship lurched and I fell against a big bank of switches and buttons setting off the abandon ship signal - try not to do this! Will there be an opportunity to discuss photography? - Many ships have a resident photographer as a part of the programme at no additional cost. There will also be many keen photographers on your trip happy to offer help and advice. Even if you are a novice it's worth getting a decent camera for your trip and practice using it before you go. What is the likelihood I will encounter rough weather at sea? - You should expect rough conditions at some point, this may be when crossing the Drake's passage or elsewhere on your cruise, though you may encounter calm seas all the way. If you suffer at all from sea-sickness, take some medication, patches are popular and quite effective. Take care during rough seas as you can be dumped into your chair or onto your bed more enthusiastically that you expected or find that getting up happens a bit more quickly!. Slippery silk pajamas are not recommended as every time the ship lurches, you'll shoot off in that direction (possibly quite entertaining for onlookers however). Walk around with your legs bent a little at the knee to absorb unexpected lurches. It can also be great fun! The first time I encountered rough seas I stayed in my bunk for about 48 hours feeling awful, this is the worst thing you can do. Make the effort of find your sea-legs, some food in your stomach is better than none. Go up on deck or look out of a window, the sickness comes largely from the discrepancy between what your eyes tell you and what your inner ear tells you. i.e. ears say the world is moving around, eyes say it isn't. If you look at a static horizon, it all makes more sense and you feel better. After my inauspicious start (over 30 years ago) I've never suffered from sea-sickness since. Will there be opportunities to buy souvenirs? 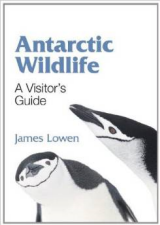 - It is possible to buy souvenirs in Antarctica from the gift shop and Post Office at Port Lockroy on the Peninsula, and also the gift shop at the American Palmer base on the peninsula. The New Zealand Scott base and American McMurdo base in the Ross Sea region also have gift shops. Otherwise shops are non-existent. Ships usually have shops with scenic postcards and branded caps, t-shirts etc. of the ship. What is meant by "Unlocked door policy" - This operates as standard on ships in Antarctica. There will be a ships safe if you wish to leave large amounts of cash. Like a utopian global village, there is no crime aboard a cruise ship in Antarctica. Most ships are cashless, bills and tips being paid by card on the last day or morning of departure. Some smaller ships however do not take tips by card and so you will need cash for this - ask before you set off. What can I expect from the weather? - The unexpected! There's a lot of weather in Antarctica and it's in evidence most days. It can and does change in a moment so make sure you take your outer layers and insulating layers ashore with you even though the sun is shining and it's warm when you set off. Are cruises suitable for children? - Some ships have rules where they won't take passengers who are under 6 or under 12. While children are not discouraged from an Antarctic trip, they are not particularly catered for either. The chances are you won't meet any other children on the cruise and there may be long periods of entertaining yourself (sea passages) which for the adults is all part of the attraction of being able to switch off and absorb where you are, read, chat etc. For children this may be a more challenging time and also for parents hearing "I'm bored" (and other passengers too). Antarctica is only really a family destination for older children.